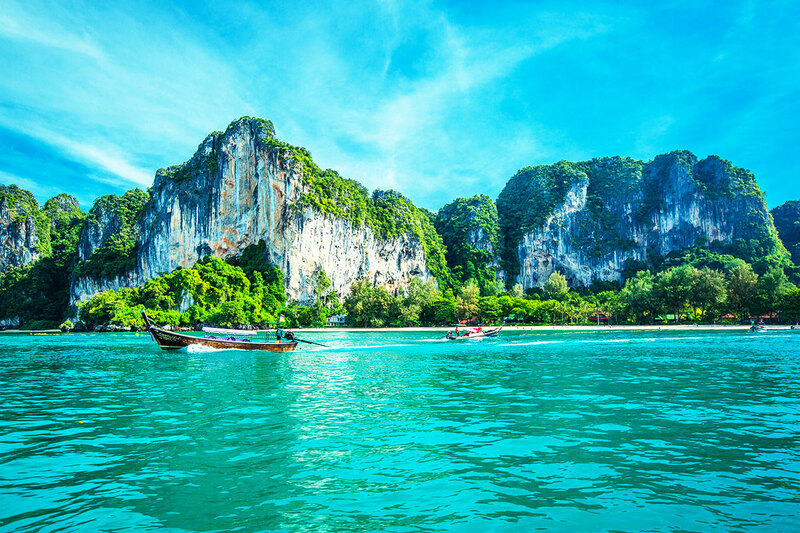 12 day boutique small ship Thailand Islands cruise with Phuket beach break including return international flights, accommodation, most meals, sightseeing, tour guides and more. 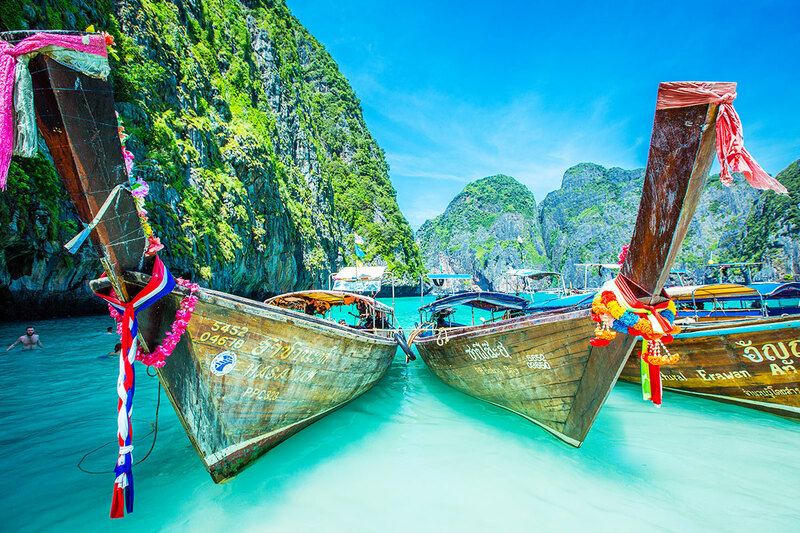 Cruise the best of Thailand’s beautiful islands with a 12 day boutique small ship Thailand Islands cruise with Phuket beach break and flights. Hop on board the MS Panorama II as you set sail for Ko Miang, one of the gorgeous Similan Islands. 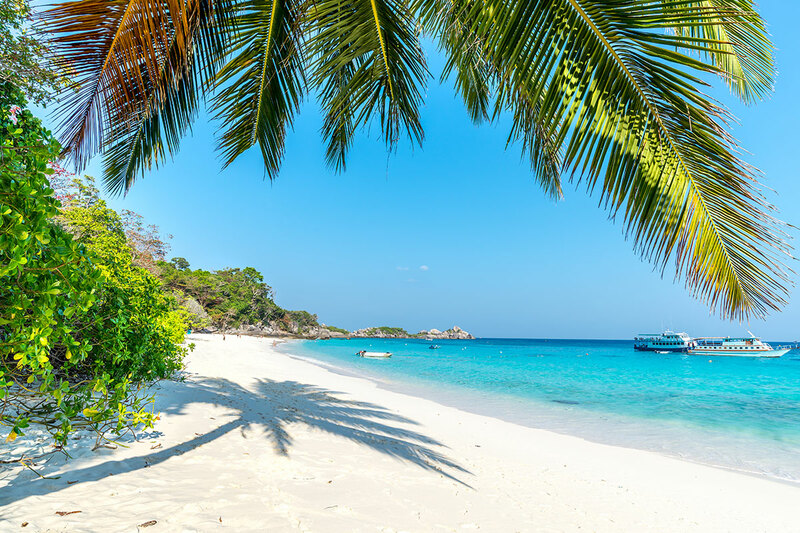 Enjoy time swimming, snorkelling and kayaking around this island, before continuing on to the main group of the Similan Islands. Arrive in Ko Surin Tai and visit Moken Village, home to the Moken people and learn about their culture and traditions. Journey to Khao Lak, a village that is located among a collection of beaches along Phang Nga’s coastline. Wander through town, grab a bite to eat or explore the local nightlife. Visit Baan Talay Nok village, a town that was destroyed by the infamous 2004 tsunami. Sit down for lunch with the local families, try your hand at soap-making and learn to prepare a local dish of grilled coconut wrapped in leaf, before arriving in beautiful Phuket, where you can shop, eat and relax at leisure. 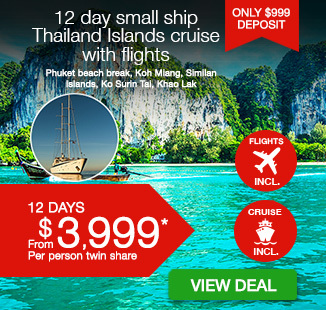 Depart Australia for Phuket to begin your small ship adventure cruise. On arrival at Phuket airport, you will be met and transferred to your hotel. Enjoy the morning at leisure. At the appropriate time, you will be transferred to the port greeting your shipmates as you board MS Panorama II in the late afternoon. Attend a welcome meeting and safety briefing to go over the finer details of your upcoming journey. After dinner on-board with your fellow travellers, set sail at around 9 pm, heading for Ko Miang overnight. Cruise in style on-board MS Panorama II, a state-of-the-art motor sailer. Fully renovated in 2015, the Panorama II is your home at sea. 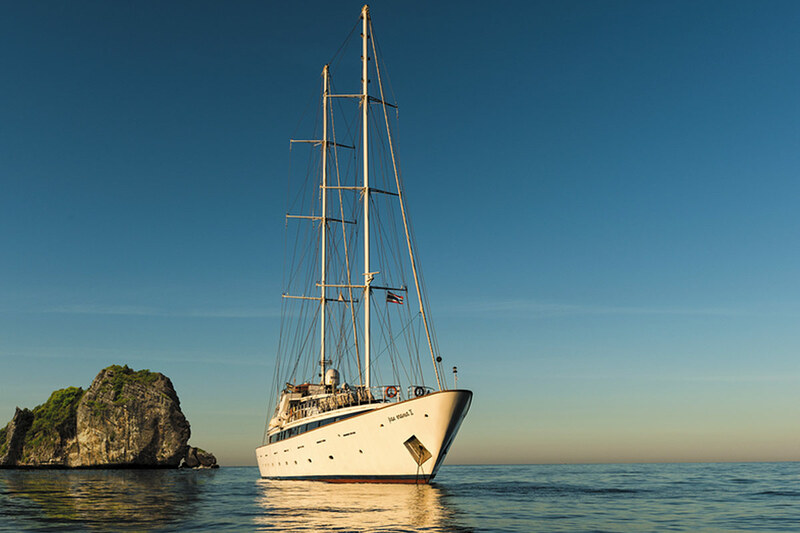 Accommodating 49 guests in 25 cabins, with a crew of up to 18 and a cruising speed of 10 knots. There are a range of indoor and outdoor options for dining and lounging. The lower deck restaurant is the perfect setting for your regionally inspired meals while the upper deck offers al fresco dining with sunset views. The swimming platform at the rear allows you to swim right off the boat wherever we drop anchor. 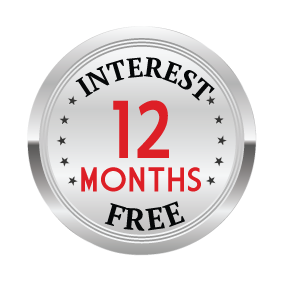 You will also enjoy the free use of the following on-board inclusions, kayaks, snorkels, stand-up paddle-boards and fishing equipment, mini library, board games, central music and CD and DVD player. All cabins are finished with handsome wood trims and equipped with modern amenities including ensuite bathroom, air-conditioning, mini fridge stocked with bottled water, TV, hairdryer and safety deposit box. A daily evening turn down service is provided along with towels for swimming. Arrive nice and early in Ko Miang, one of the gorgeous Similan Islands. 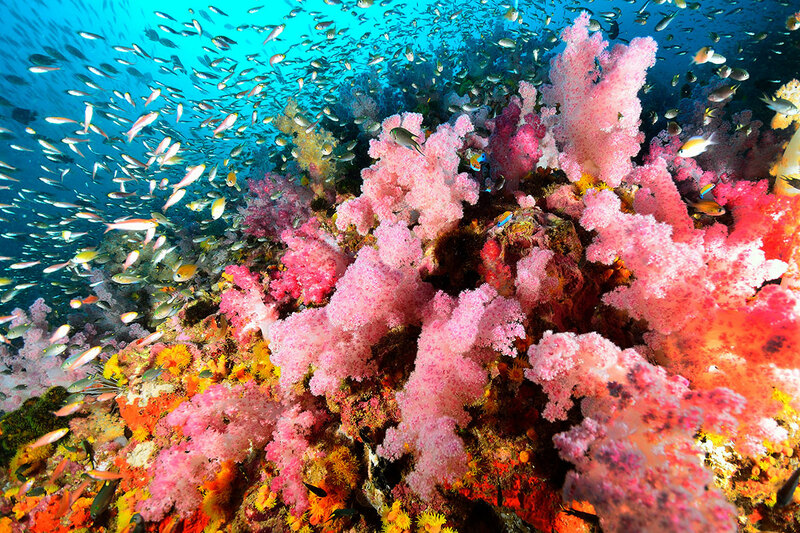 Renowned among divers for good reason, these islands combine rainforest, white sands and clear blue water to dazzling effect. Enjoy a morning of swimming and snorkelling, or make use of the stand-up paddleboards and kayaks. Then depart mid-afternoon for the short sail to the main group of the Similan Islands, where the boat will remain at anchor overnight. 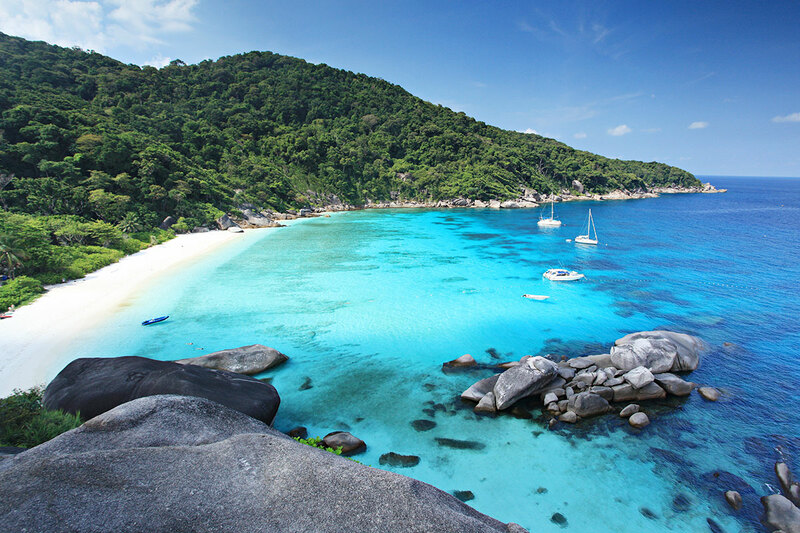 After breakfast, enjoy a full day of exploring the Similan Islands. You’re free to hike the rainforest interior, scramble over huge boulders on pristine beaches or go snorkelling in search of tropical fish and coral. These islands, constituting a national park, were made a UNESCO World Heritage site in 1982, and it’s not hard to see why. Later, it’s off for a late-night sail to Ko Surin Tai, and the night is spent at sea. After an early-morning arrival, visit Moken Village for a tour with a local guide. This is the home of the Moken people, a Sea Gypsy ethnic group of Austronesian origin who still mostly live a seminomadic hunter-gatherer life (despite Thai and Burmese attempts to assimilate them into the wider culture). Notice their colourful poles, known as labong, which represent their ancestors. Later, in the afternoon, enjoy some snorkelling and relaxing on the beach. Enjoy another day basking in the beauty of Surin Tai. Explore its incredible ecosystem, perhaps watching for a nesting turtle if it’s the season. Otherwise, enjoy the sun and sand of this beautifully off-track location while you can. 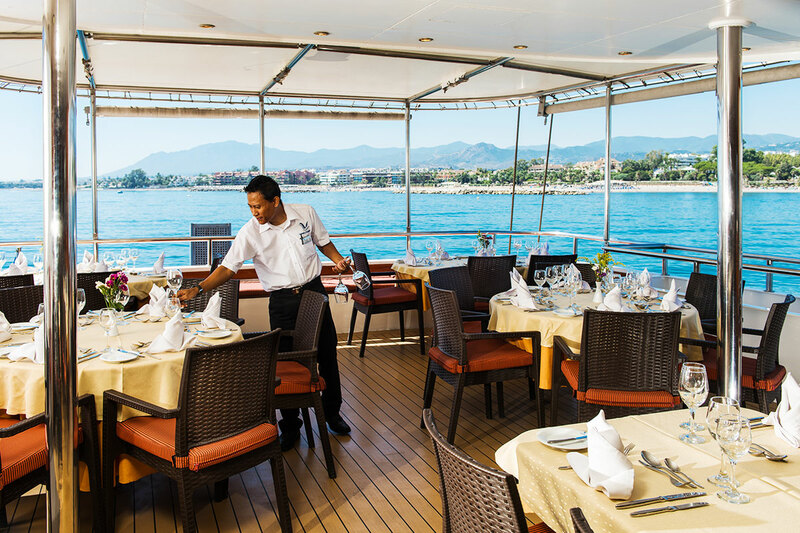 In the evening, settle into a leisurely barbecue on deck with fellow travellers. The night is spent at anchor here. 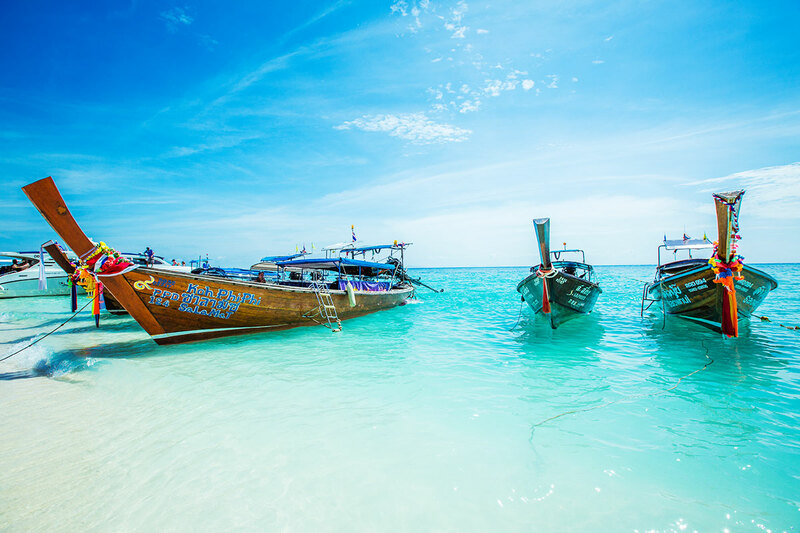 Make the journey to Khao Lak, a village among a collection of gorgeous beaches along Phang Nga’s coastline. If the conditions are right, you might enjoy some old fashioned sailing, with the sails up and the engine off for a little while. After arriving in the afternoon, you’re free to explore Khao Lak Town as you please. In the evening, perhaps seek out some fresh seafood in one of the restaurants and explore the local nightlife. This laidback haven is a nice escape from the glitzier side of Phuket. Today we enjoy a full day tour to Baan Talay Nok village. We travel by bus to the village then take a guided tour around the village, which was destroyed by 2004 tsunami. You’ll hear some eye-opening stories of survival and how the village has recovered. For lunch, sit down with local families and dine on some tasty local dishes. Try your hand not only at soap-making but also at some cooking, preparing a local dish of grilled coconut wrapped in leaf. After returning by bus to Ko Pra Thong, join the Panorama II once again. Enjoy a farewell dinner on-board as the boat sails for Phuket. This morning your adventure comes to an. Arrive Phuket early in the morning, then disembark after breakfast. Transport will be waiting at the port to drive you to your Phuket hotel for the next two nights. At the appropriate time, please make your own way to the airport for your homeward flight. A deposit of $999 per person plus any applicable surcharges are due at the time of purchase in order to secure your date. Excludes: Travel insurance, visas, tipping and gratuities, personal expenses and drinks while on the cruise. Lower Deck – $2,899 per person in addition to your twin share voucher. Main Deck – $3,499 per person in addition to your twin share voucher. 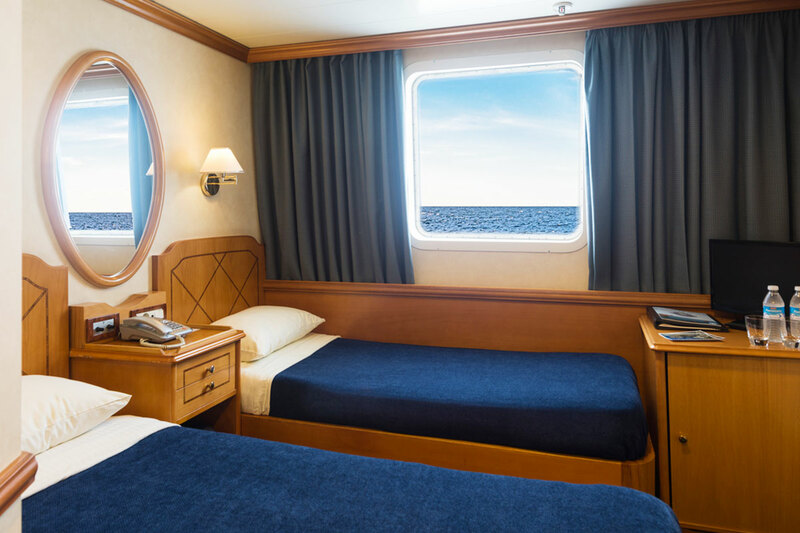 Main Deck Cabins: each cabin has porthole windows with a choice of double or twin beds. 10–13 sqm in size. 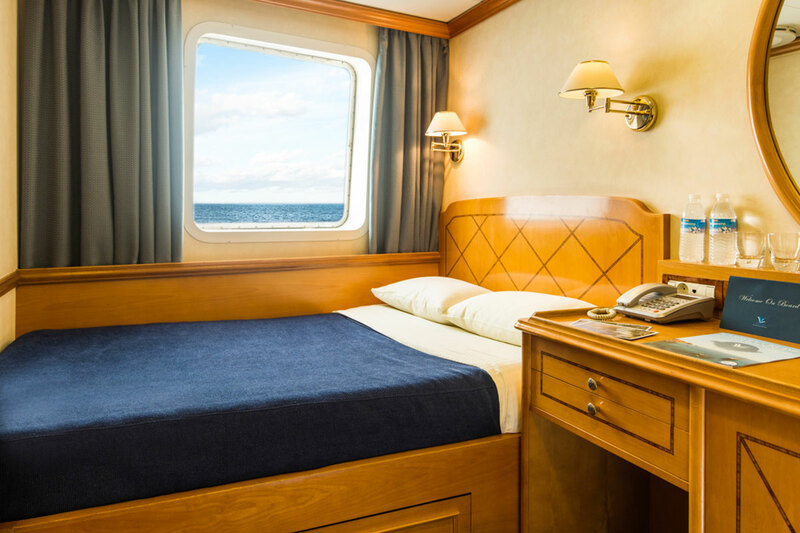 Lower Deck Cabins: each cabin has double beds only and porthole windows. 10.5–11 sqm in size.